Accessories Offer: Buy two 7 Nx hearing aids and receive a free accessory (StreamLine TV or Streamline Mic or miniPocket). 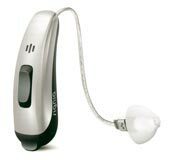 Nx Models the latest technology from Signia Siemens have patented OVP (On Voice Processing) allows a user to hear their own voice naturally. Nx has direct connection to iPhone and via the Streamline Mic for Android. 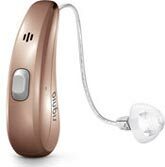 This provides streaming and phone calls directly into the hearing aids. 3-D Classifier analyzes multidimensional information from the environment and provides a tailored hearing response to the wearers needs. IP68 rated, no more worry about moisture or dirt (Waterproof). Real time TeleCare allows us to make full adjustments and changes to your hearing aids without the user being in our office. Nx has a new chip that is 60% faster than Primax and has a larger frequency range and dynamic range. Plus the user can control the Nx features with an App on an Android or iPhone. Click here to learn more about the Signia Siemens Nx models PURE 312 Nx, PURE 13 Nx, MOTION 13 Nx, INSIO Nx, STYLETTO Nx and the SILK Nx. Support: We Provide Quality Licensed Professional Services and We Support You for the Life of the Hearing Aids, at No Additional Cost. Warranty: Signia Siemens 3 Year Warranty with Damage and Loss Protection, We Include the with the 7 Nx and 5 Nx. Payment Plans: 0% Payment Plans available up to One Year through Care Credit. No additional service plans or warranties to purchase and no hidden costs. Whenever you have a question or you need assistance you can contact us. We have been providing exceptional professional services and product support since 2003. See our reviews on Google. Special Unbundled Signia Siemens Nx prices. Click Here to learn more about the Unbundled purchasing option. Pure Charge & Go Nx by Signia Siemens is our most popular model. The Pure Charge&Go Nx is a fully rechargeable, IP 68 rated waterproof hearing aid, Receiver in the Canal (RIC) hearing aid. You never need to change batteries, in fact there are no battery doors. Pure Charge&Go Nx contains all of the latest Nx technology, plus it is a Lithium-ion Inductive Wireless charging hearing aid. 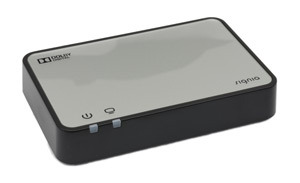 After a three hour charge the Signia Pure Charge&Go Nx will last for 19 continuous hours. After a short 30 minute charge it will last for 7 hours. It provides tinnitus therapy and with the StreamLine Mic connects to your Bluetooth devices. Click here to learn more about the PURE CHARGE&GO Nx. CHARGER INCLUDED: The prices above include a Pure Charge&Go Nx Lithium-ion Wireless Inductive Charger. The Pure Charge&Go Nx hearing aids will not function without the Pure Charge&Go Nx Lithium-ion Wireless Inductive Charger. StreamLine TV Is an accessory for Signia Siemens Nx model hearing aids and provides TV audio in Dolby stereo. It streams TV audio directly into the Nx hearing aids. The user can adjust volume separately from the TV with the myControl app. Price: FREE with purchase of two 7Nx hearing aids. $149.00 ea. at the time of purchase of two Signia Siemens 5Nx or 3Nx hearing aids. Without the purchase of hearing aids $169.00 ea. is a Signia Siemens Advanced Partner and a family-owned "Bricks and Mortar" practice providing excellent patient care and product support since 2003. See our reviews on Google. When you purchase from us you will have our service and support for the life of your hearing aids. You must refer to this ad to receive this offer. *Prices may change without notice.